This holiday season, nearly 49 million Americans don’t know where their next meal will come from. happy holiday. Give the gift of meals. 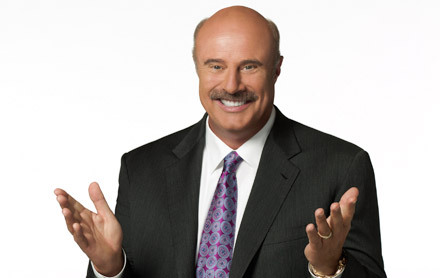 Dr. Phil is partnering with Feeding America to mobilize people across the country to raise funds needed to supply 10,000,000 meals! The partnership launches on December 13 and coincides with a Dr. Phil special feature episode on spotlighting Hunger in America, and featuring an interview with Feeding America’s president and CEO, Vicki Escarra. Kids Cafe programs provide free meals and snacks to low-income children through a variety of community locations where children already congregate during the afterschool hours—such as Boys and Girls Clubs, churches or public schools. The mission of the School Based Pantry Program is to help alleviate child hunger in America through the provision of food to children and their families at school. School based pantries are located on the grounds of a school intended to provide a more readily accessible source of food assistance to low-income students and their families. Sites are consistently in the same location as the school’s campus, have set distribution schedules and offer ongoing food assistance services. School based pantries may have a permanent set up within a school, or may operate through a mobile distribution rotation where food is brought to the school campus. Provide nutritious, healthy food to children at-risk of hunger for preparation and consumption at their place of residence. Distribute food discreetly in easily accessible and safe environments. In fiscal year 2010, 25 food banks operated over 400 School Pantry Program locations that served nearly 70,000 children. Does Your Local Feeding America Food Bank Operate a School Pantry Program? Use the Food Bank Locator here to contact your local food bank and find out what they are doing in your community. For additional information on the School Pantry Program or any of Feeding America’s child hunger programs please, contact the programs team. Feeding America is committed to helping end the fight against hunger. In addition to visiting your local food bank or emergency relief organization, here are some other links and information that may help. SNAP prescreening and application link page. 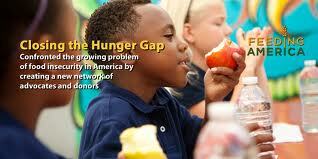 School-aged children are among those in America most-severely affected by hunger. But there are ways to ensure your kids are getting the nutrition they need even when times are tight. When natural disaster strikes, Americans who were living on the brink of poverty face monumental struggles as they attempt to rebuild their lives. Each day, hunger is experienced in every community across this country. In fact, our network feeds over 37 million neighbors each year. Ending hunger in America depends on the volunteer work of literally millions of Americans who know that they can make a difference. Its simple - get involved today - and get your family and friends involved. To find opportunities in your area, please contact your local food bank. Volunteers are needed across the country to support our network's commitment to the survivors of disaster-affected communities. You can help out in your local community through activities such as sorting, boxing and repackaging donated food to be directed where it's needed most. Addressing the needs of displaced survivors will be critical over the next several months. Contact your Feeding America network member to see how your help is needed. Give a gift today to help provide food and groceries for families battling hunger. Honor someone special with a tribute gift to Feeding America or make a donation in memory of someone who has had an impact on your life. by starting an online Virtual Food Drive. By giving a monthly donation, you can make a difference in the lives of hungry Americans all year long. Learn more about how your monthly gift can help. that makes an impact on the lives of hungry Americans. Will my donation be used wisely? How do I send in my company's matching gift form? Find answers to these questions and many more on our FAQ page. 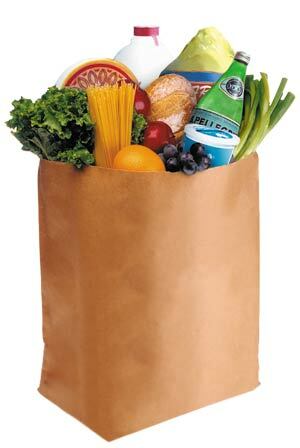 of food and grocery products to hungry and needy Americans in communities across the country. provide financial benefits to the donor, too. ways to help Feeding America.